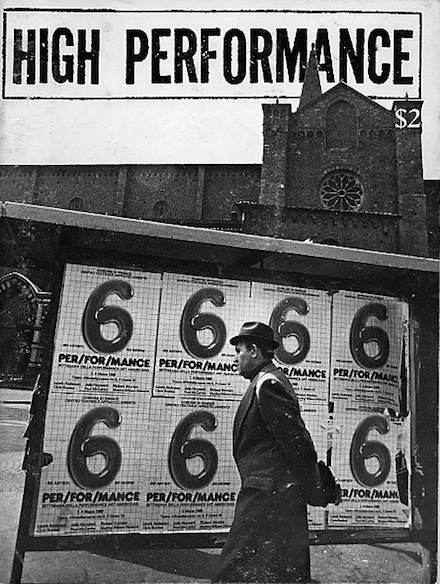 Report: American Performance Festival in Italy (Chris Burden, Laurie Anderson, Paul McCarthy, Julia Heyward, Disband, Richard Newton) by Linda Burnham. Report: Women’s Caucus for Art Conference in New Orleans by Suzanne Lacy. Features on Cafe E*pit’o*me and Public Arts International. Artist’s Chronicle: Julie Wallace Keller/Valerie Bechtel, Anne Mavor, Joshua Abbey, Ramsey Najm, Nancy Evans, Lerner & Turner, Claire Fergusson, Rod Force and more.